The lovely Tom at WOM World Nokia saved my (mobile) life 2 weeks ago when they offered me a Nokia N8 to test while my C6-00 was off for repair. On arrival I was like a child with a new toy, or Tigger with extra bounce. 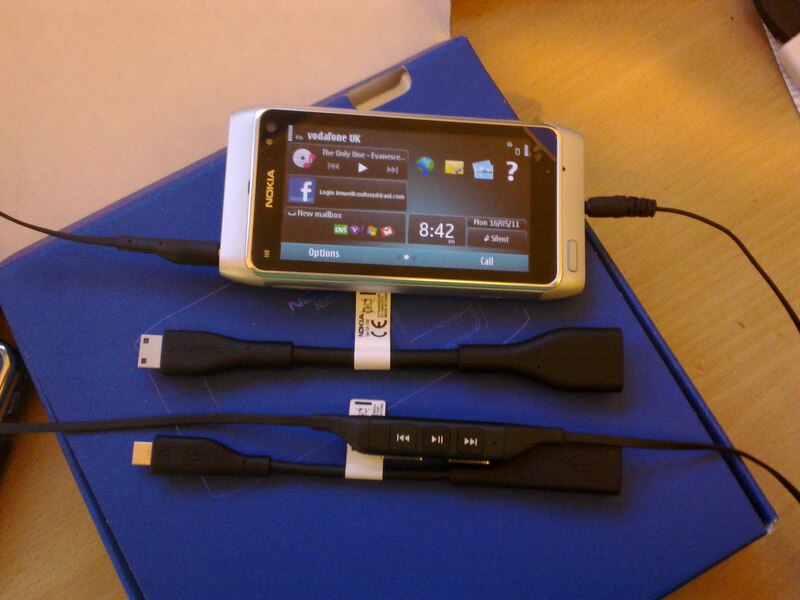 The N8 I have wanted since the Nokia World 2010 Event unveiling. I've not had a rush of excitement over a device since my Motorola V66. Placing it in my hand it felt solid, The anodised aluminium was cold, leaving a feeling your carrying a high end device. Weight wise it felt perfect. 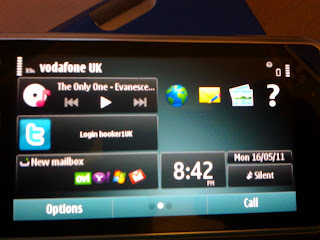 Turning it on was painlessly quick in comparison to the LG Optimus One and the C6-00 , set-up again was simple and easy, I would say 10 mins we were away. 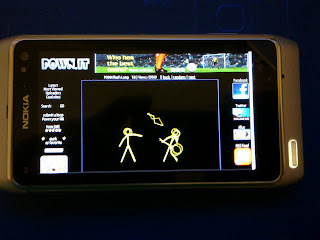 The home screen is standard of symbian wares in the past, as are the menus. making the general user experience seem normal to everyday users, but to apple or droid user may be confused. The touchscreen is a capacitive AMOLED display and dang it is gorgeous. Works great in the sunlight and produces some real amazing colours. It can be over-sensitive in the corners holding the phone has resulted in opening the phone's dialler or exiting applications unintentionally, annoying but I'm blaming my clumsiness here. But a calibration tool would have been useful. Internet on the N8 averages out around 2.8mb on Vodafone in the strongest 3g areas, and 1.3MB on the Sure Signal device at home (using speedtest.net mini test) Wireless connectivity worked out of the box and secured wifi worked perfectly too. One thing that surprised me was how stable the browser was in comparison to the C6-00 and N97 mini's offerings. The N8-00 can play most flash content perfectly. Compared to android refusing to load content, including some video services. Tainted by the C6-00's small memory I won't lie. I was expecting it to inform me it was out of memory then crash, but. It didn't the device stayed solid. Even loading heavier content from parentdish and Adobe Flash content from the potential NSFW madhouse that is Pown.it (link is safe but other content on site is not) Flash content did stutter when zooming out to fit the content on the screen, but recovers very quickly. I found the USB on the go function one of the most useful to use, plugging in a USB hub, then a Keyboard and mouse into the hub. Plug the N8 into the TV with the provided HDMI lead and there you have a full computing experience from a tiny device. Call quality seemed to be the same as the C6, but slightly better than the LG offering, even in poor signal areas it worked well. 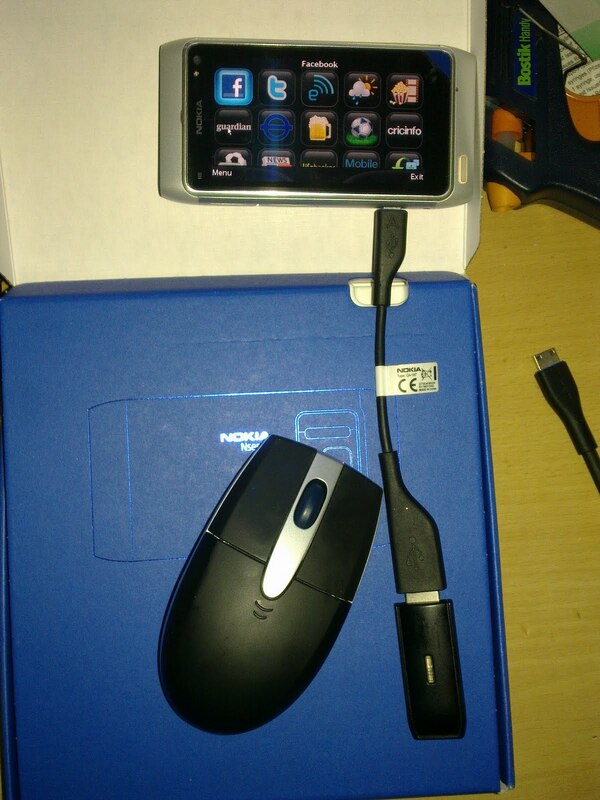 Now onto Symbian OS. It's an elderly operating system going back in the days to early Psion devices with Epoc, which has progressed to many different variants of Symbian. Today we're rocking Symbian ^3 or s60 of Symbian exist PR 2 or Symbian ANNA on the way soon with more updates coming over the next few years it's going to be a safe bet it'll keep up better than many other products. 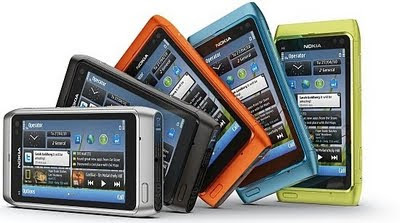 One huge advantage of Symbian is it was designed with lower powered devices in mind, meaning cheaper hardware, and in comparison to most smartphone platforms, Longer battery life, this is useful for heavy users. Lets look at that camera. Many Nokia devices have a fairly decent Camera, then a device comes and raises the bar even higher. 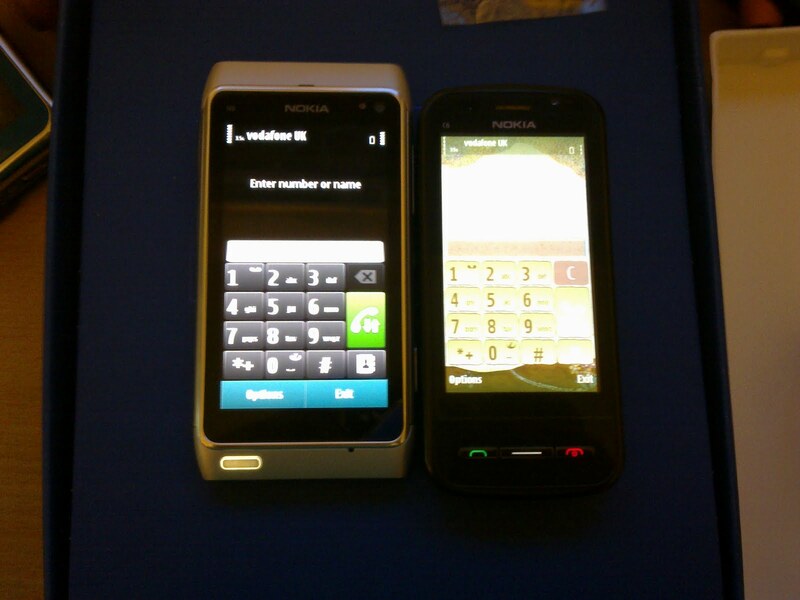 The N8 raised the bar stupidly high in comparison to the N97, 6700s and the N95. At 12 Megapixels This is a monster camera with xenon flash, coupled in with the Carl Zeiss optics and one of the largest sensors to appear on a cellphone, measuring 1/1.83", it's a beast of a camera, and judging from the photos taken by it can perform and compete with higher end cameras with ease. Here are some sample pictures. (I only spent a few days using the N8 Camera School. So expect better in the future) Click the links below to see some of the N8's snaps. Gaming on the device is pretty good too. Angry birds was tested, that had minimal lag with the odd slowdown, but considering it the nokia has half the memory, and a decent graphics accelerator meaning a good all round gaming experience, Even older J2ME (java) games work, but are a tad more cumbersome due to the lack of buttons. Purchasing apps in the Ovi (soon to be renamed Nokia) Store was a fairly decent expereience with minimal hassle, but it kept loosing connection at times, which is a widespread bug according to the guru's at Symbian Tweet with no update planned yet. It's a quirky issue but should have been solved by now i feel. 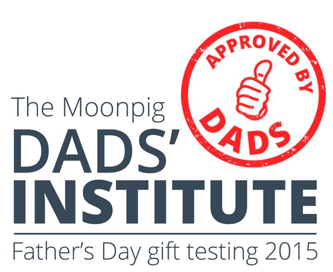 Products from the store range from the absolutely amazing Gravity Twitter Client, to the aboslute rubbish fart applications. Not forgetting Epically amazing Educational apps made by a 12 year old inspired to help his sister. In fairness the store does need improvements to find things easier, but that may happen in future updates. The Ovi team like to keep the community as a whole happy. The handset handled the transfer of my contact's, Email, bookmarks and calendar to the N8 quite well, with minimal effort required for the odd truncated entry. Every day use consisted of web browsing, Snaptu (facebook, twitter and tech articles) it never failed me, with true multitasking, changing between utilities, web based services and documentation was a simple task of holding the menu button for a second. The device worked how I wanted, when I wanted with little issues. Symbian could probably benefit from a faster process and a touch more RAM, but it performed well enough to be considered a long term device in comparison to many similarly priced device. Then the SIM free cost. Currently it's at £365 this is an amazing price for a high end device, with 16Gb of internal storage, and the ability to add another 32Gb on the memory card slot. You are on to a media player winner here. 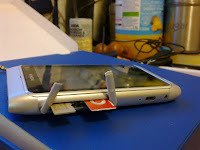 Glitches are being worked on by the boffin's at Nokia so you have a future proofed device in a colourful shell. NOKIA. Please make the N8 and E7 in Purple. You make it in purple. I'll buy it. Today, even if i have to sell my spleen to get it. I recommend the device to many, even trying to convert iPhone users to the Nokia quality. One of the finest Mobile Phones compete with Samsung Galaxy series. reviews are really good with all apps support in the phone. slim and very good touchpad.